Manage and automate Facebook comments along with your other communication channels. Instantly reply to Facebook comment threads on posts or ads. No need to switch back to your Facebook account. Manage Facebook comments like any other communication channel: sort, tag and assign these tickets according to their topic and attributes. 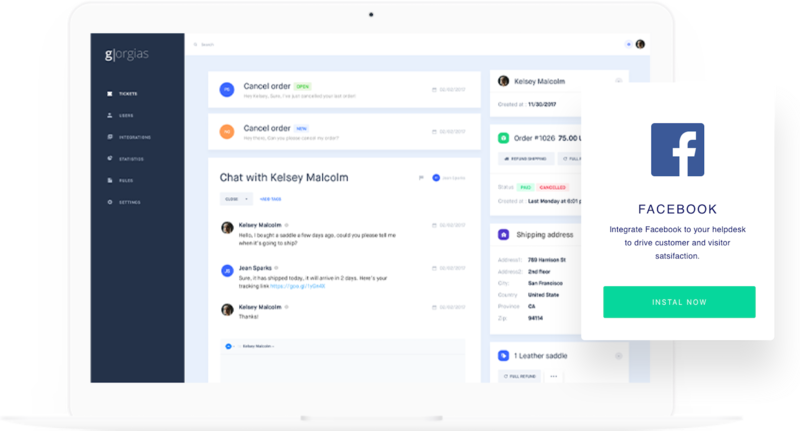 Gorgias then displays rich customer information next to your Facebook comment tickets for you to provide accurate answers: order details, tracking number and more. 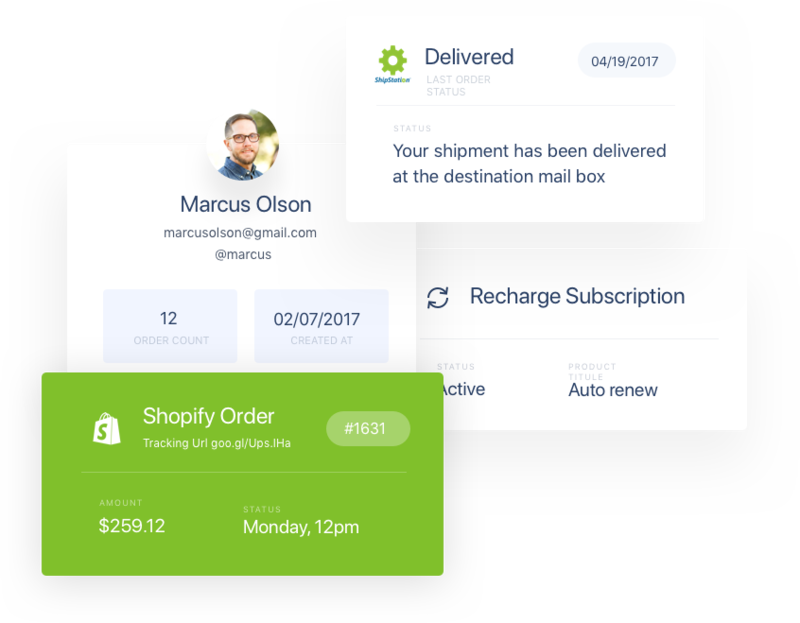 Keep track of your conversation history with your customer on all channels. Automate 30% of Facebook comments with recurring requests using our smart autoresponders. 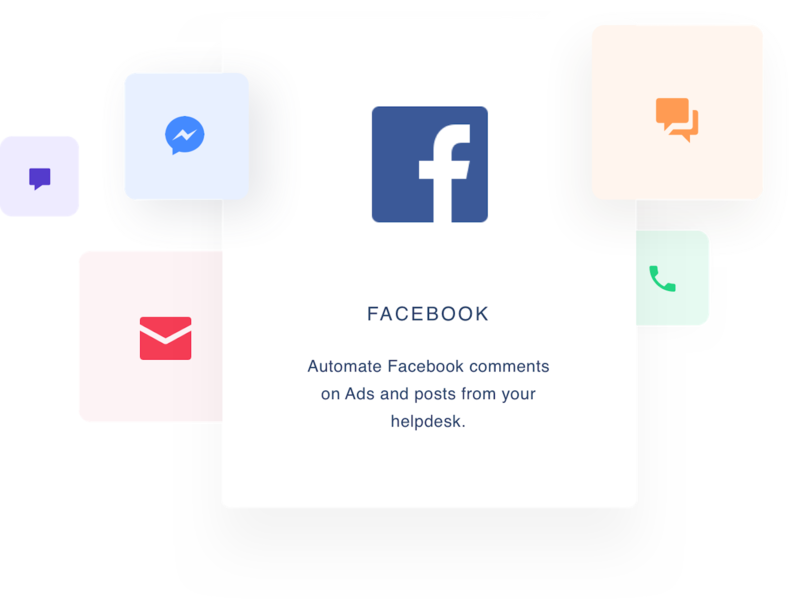 Gorgias uses the data from your apps to create data-rich comment templates: send a personalised reply to comments on Facebook posts and ads.